Chicago used to have just one big show ? over Grant Park ? 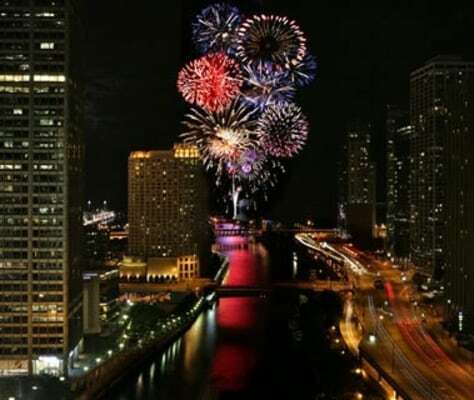 but the Navy Pier show is now stealing some pyrotechnic thunder. A great spot to see it is the Trump Chicago Hotel, which sits on the river and has a straight shot down to the pier.